Paris, France…I arrived in the City of Light a bit weary after 20 hours of air travel from Cape Town via Doha. 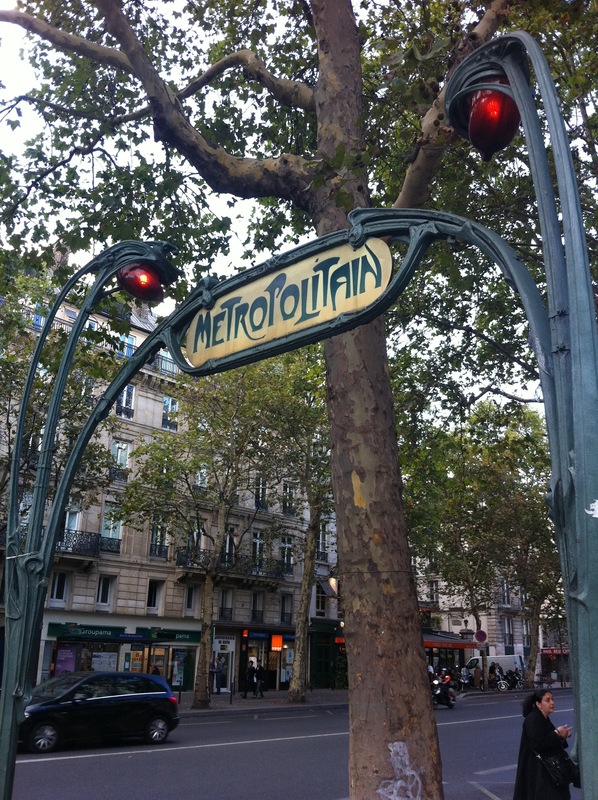 I always love Paris and have spent a lot of time here over my years in the fashion industry! Regardless of being tired I am anxious to hit the Parisian streets! 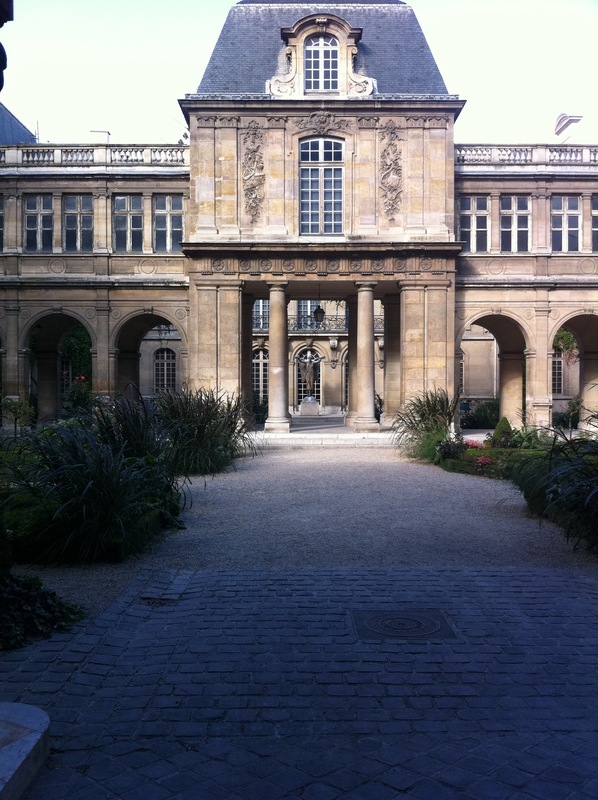 I am staying in the Marais which is my favorite area in Paris…how convenient to go check out all my favorite haunts…I love this area for it’s artsy vibe. It has become a fashion destination as well since designers have discovered this neighborhood and set up shop! 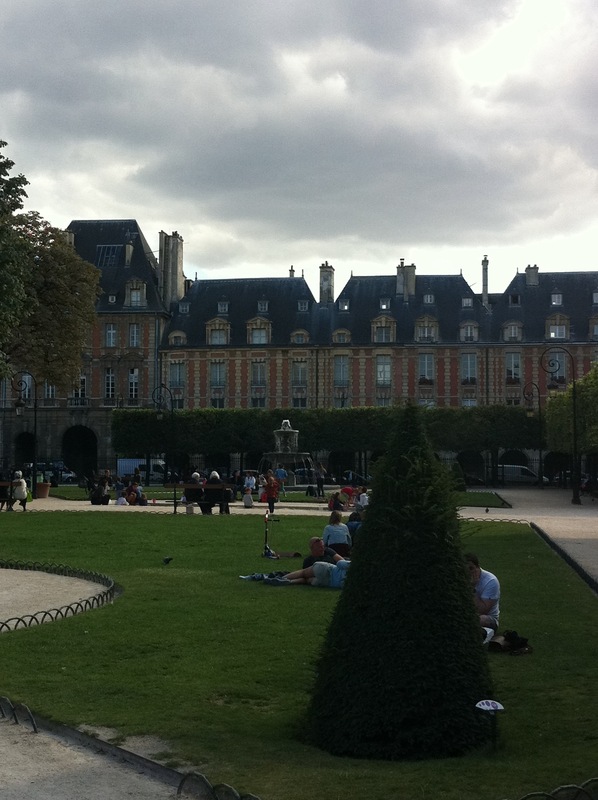 Place Des Vosges instantly puts me in a French mood and gets me in a Paris state of mind! 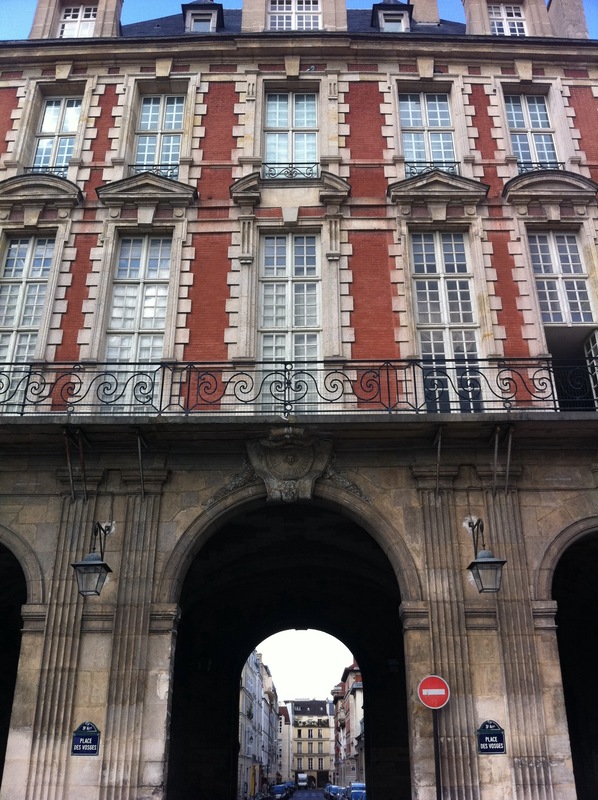 From there, I stroll the shops of the Marais, peeking into little hidden squares and taking in some grand architecture. 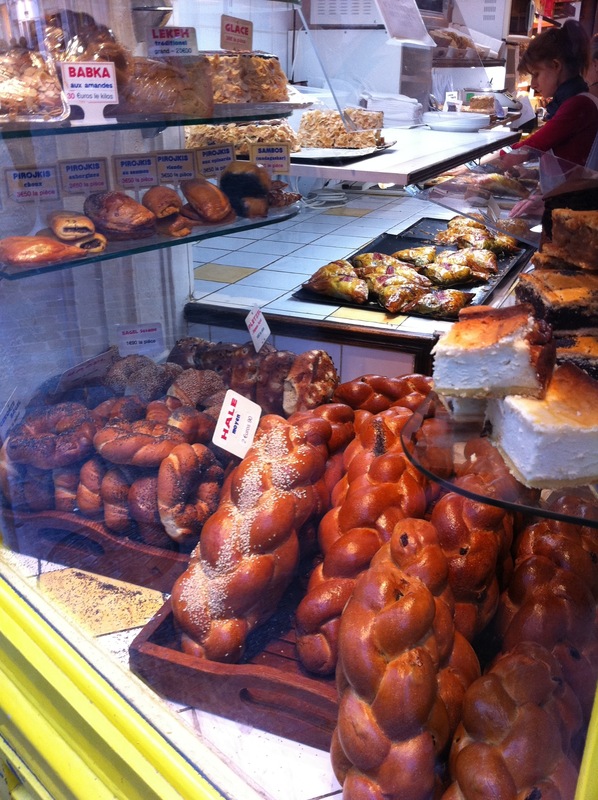 Next it’s on to the old Jewish ghetto area of the Marais that is still filled with butchers and bakeries! I must stop and indulge in the famous falafel sandwiches and admire the beautiful challah in the bakery windows. 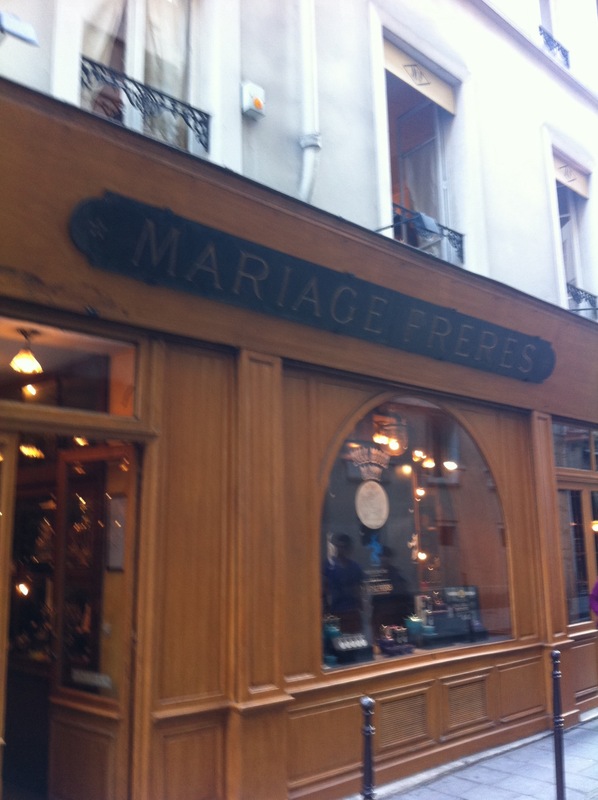 Tea lovers come to the Marais for Maraige Freres, the famous tea shop tucked down a short street in the heart of the Marais. I continue my window shopping and enjoy the beautiful Fall day! 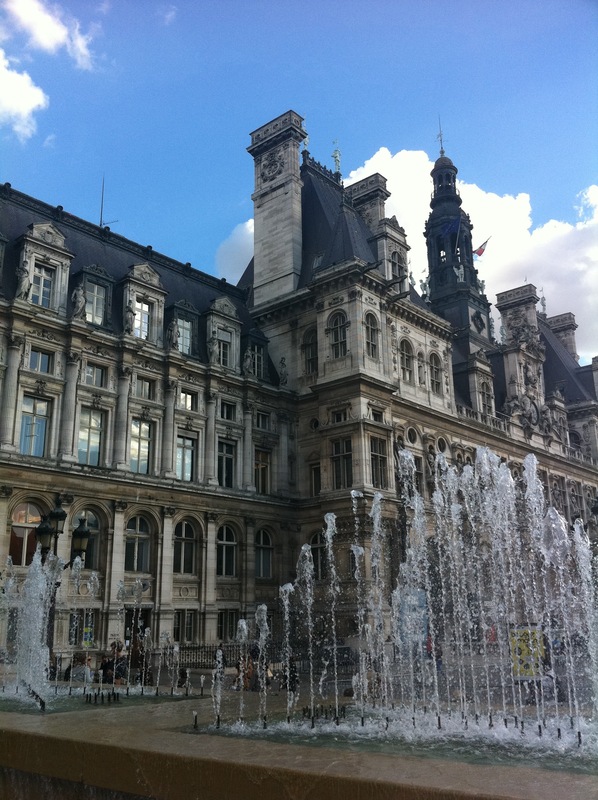 I wind up my stroll through my favorite arrondissement at Hotel d’Ville. This beautiful piece of history is alive with pedestrians and the light sort of bounces off the Seine in the distance! Paris is feast for the eyes and the palate! I relish my few days here every year in the early Fall…Oh, this is the good life!